The country star has dismissed rampant rumours suggesting he is planning to get down on one knee on live television, but he's still having fun with the romantic idea. 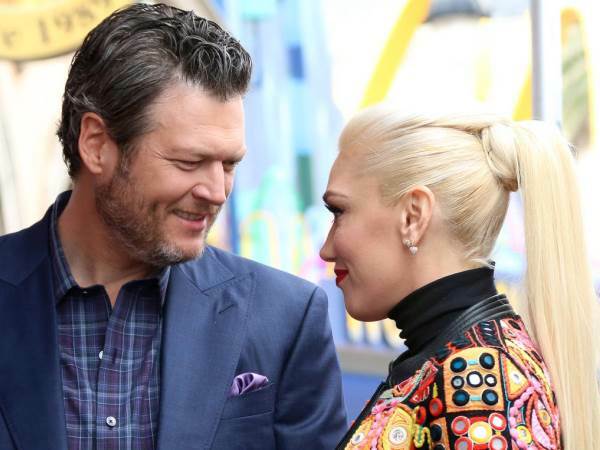 Blake Shelton has joked about proposing to girlfriend Gwen Stefani on TV show The Voice. During newly released outtakes from the set of the U.S. talent show, he responded to fellow judge Alicia Keys when she casually suggested a proposal on the show would be good for ratings. "Would that make you feel weird, Gwen?" Shelton asked his girlfriend, to which Stefani laughs, "That would be my dream come true!" The couple started dating after meeting on the show in late 2015, following their subsequent marriage splits. Blake divorced fellow country star Miranda Lambert the previous summer and Gwen was estranged from her now ex-husband Gavin Rossdale. Meanwhile, amid all the fun and games on The Voice, Blake has been hit with some sad news - a young fan who lit up the Internet with her version of her hero's Savior's Shadow has been declared brain-dead after surgery. The singer sent prayers to little Brooke Haire after catching her performance online and learning she was heading into surgery. "Brooke you are an angel!!" he wrote on Twitter on Wednesday night. "I’m honored you sang my song... We are all keeping you in our prayers." Ironically, Brooke's last wish before she went in for surgery was for Shelton to see her performance video, which was filmed earlier this month, according to the Facebook page set up for her.